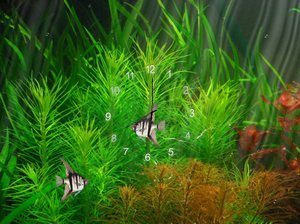 You will not need a desk clock if you have these animated fish swimming across your desktop. They know the exact time because they can see the hour hand as it ticks and tocks under water. All the green foliage and aquatic fauna are telling you it’s time to sit back and let time pass.